Nothing catches the eye like that crisp royal blue sign. It's a name that stands out. 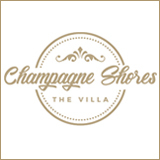 A name that brings with it a feeling of prestige, an aura of timeless taste. It's a name you recognize. It shouldn't have been a surprise to see Sotheby's Anguilla real estate signs popping up around the island in the mid-2000s, considering Anguilla's escalating real estate and high end market. But, it was a surprise. 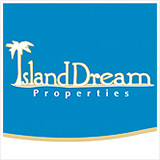 Previously, the market had been dominated by locally owned Anguilla real estate companies. 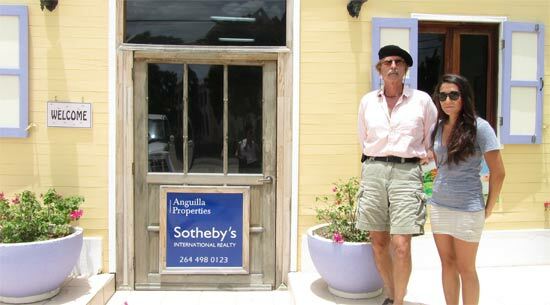 1) How did Sotheby's find Anguilla? 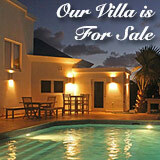 2) What kind of Anguilla villas and real estate did they have for sale? On an island largely targeted to the rich, famous and powerful, Sotheby's Anguilla real estate catalogue is simply jaw-dropping. 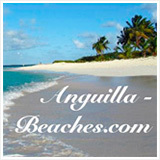 Pick up a copy on your next visit to Anguilla. That leads me to the second part of the story. 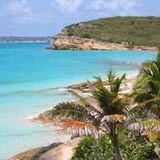 Over the years of visiting our favorite Caribbean island the name "Scott Hauser" often appeared together with Anguilla real estate. Somehow I had never met him. Sotheby's Anguilla real estate popped back up into my consciousness when I noticed that it was included on the Anguilla Heritage Trail. Sotheby's/Scott Hauser had resurrected "The Historic Old Factory." "The Historic Old Factory" was known in Anguilla's early days for "cotton ginning," with the cotton plantation (Wallblake House) just across the street. The Factory was later known for acting as a central point of commerce, Anguilla's only bank and general store. It was used for a few other ventures along the way. It had even been a fried chicken house! 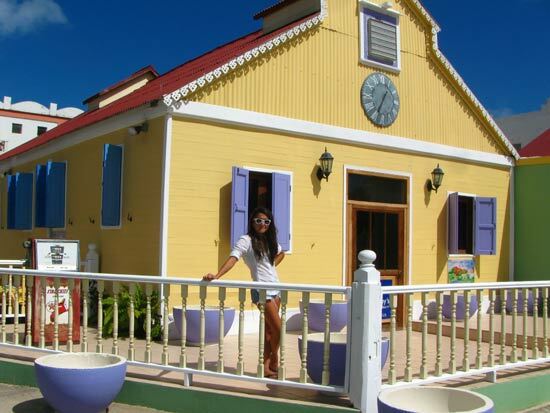 Today, it is a national heritage site and Sotheby's Anguilla real estate office. The building has been restored to Sotheby's high standards! The exterior is painted in pastels. 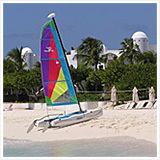 It captures a quaint picture-perfect Caribbean postcard feel, reminiscent of the Anguilla of yester-year (photo above). It is clear that the restoration of The Factory, was carried out with passion and dedication. It had been left in a state of total disarray, vacant after its days as a fried chicken house until Sotheby's came in ready to scrub down the walls, stained with chickeny-grease. 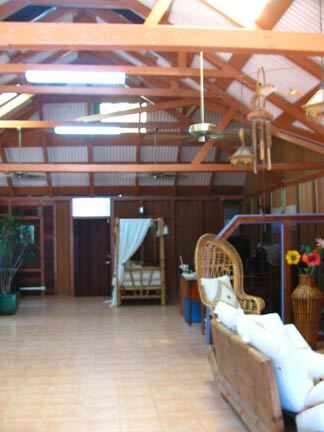 A Caribbean charm now sparkles from the tile floors, to the tin-roof, to the wicker furniture with plush white cushions, the mark of classic Caribbean luxury. 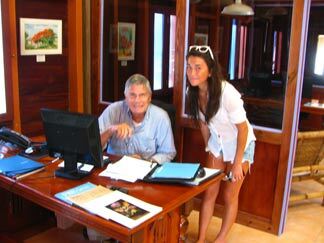 Inside we were greeted by a kind man working for Sotheby's Anguilla real estate. We felt cool in the chilled building, but he was wiping his brow. "With a hot tin roof, keeping this room cold is a real challenge!" The only drawback to the classic Caribbean structure. We missed Scott Hauser on that visit. He was off island. So we continued our exploration. We found an astounding explosion of color in the basement. 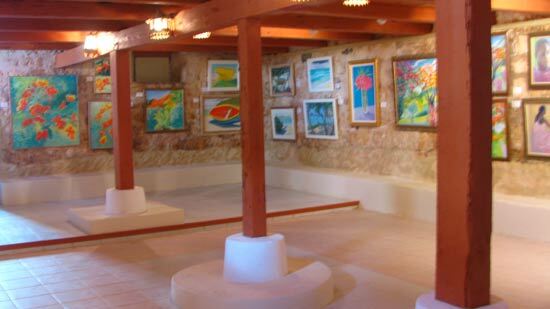 The Stone Cellar Art Gallery and Annex (the Annex is upstairs) truly completes a unique Sotheby's experience. The renovated cellar emotes a whimsical classic Caribbean feeling. It has been fitted with rich wood rafters. The walls are lined with heavy stone. The air is cool, refreshing. Some of the most inspiring in the Caribbean. 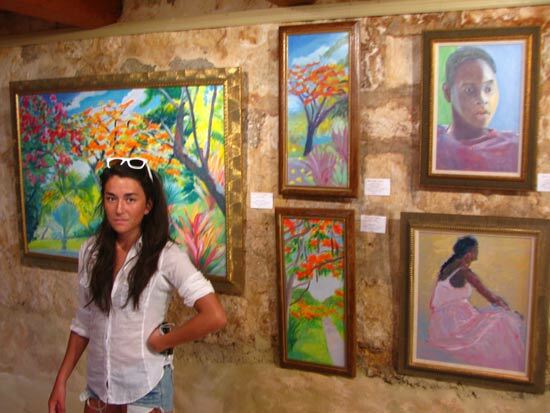 If you don't visit Sotheby's Anguilla real estate office to buy property, come for the art! 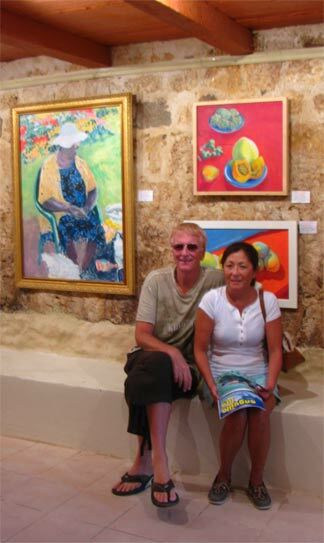 The Gallery features the work of famed Caribbean artist Sir Roland Richardson from St. Martin. Sir Roland Richardson paints "en plein air," a style reminiscent of the great French impressionists. His works' beauty is undeniable. Since our visit to The Stone Cellar Gallery we have had the great privilege of meeting Roland himself, and his lovely family (that story for another day). That was the closest we came to meeting Scott Hauser for some reason or another. Some time later, on a whim, we stopped in and asked for Scott Hauser. His receptionist led us to his office. Scott Hauser is a man of many experiences, adventures and insights, with degrees from both Harvard and MIT. You marvel at the thought of all that he has done and seen. One of my favorite aspects of Scott Hauser? His dedication to Anguilla. 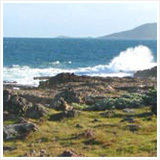 He moved to Anguilla in 1977. Pre-cars, telephones, resorts, restaurants. "I felt like Adam who had found Eden!" His father was the first post-revolutionary investor, starting the famous Anguilla resort, Cinnamon Reef, tucked away in the private, calm bay, Little Harbour. Mr. Hauser, fixed on escaping the United States, took the opportunity and proceeded to fully develop and manage the resort. Mr. Hauser lived in Anguilla from 1977-1987 before returning to the States, to Boston. At Harvard he received a Professional Development Degree in Architecture. He had a tough decision next, having been accepted to both Columbia and MIT. MIT had a more reputable real estate program at the time, and so, he earned a Master's from MIT in Real Estate Development. 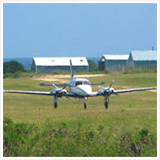 He returned to Anguilla and his family shortly after (the father of Anguilla, Ronald Webster, is his ex-father in law!). Since returning to Anguilla, his entrepreneurial spirit has taken over. 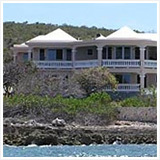 Mr. Hauser brought Sotheby's to Anguilla with his realty and villa service company. He is also "the man behind" the island's FedEx, Kinko's and Xerox services. In the early days, he even ran the island's first ice cream shop in the mid 90s. 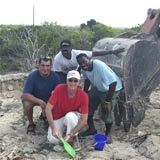 On top of a long list of academic and business accomplishments, Scott Hauser is truly part of Anguilla life, heritage and culture. 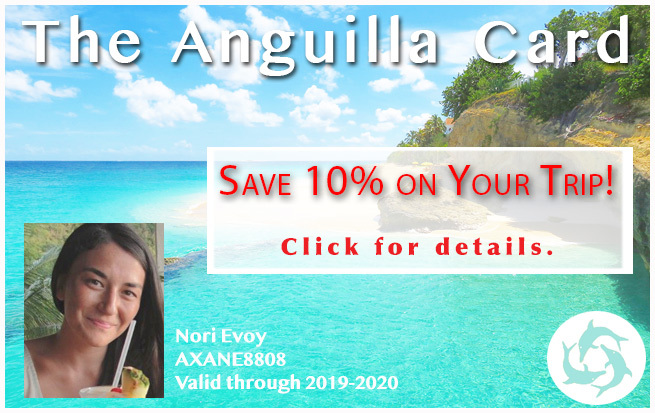 He has earned Belonger status, British Dependent Territory Citizenship, and was the first non-belonger (at the time) to be president of the Anguilla Hotel and Tourism Association. Meeting Scott Hauser was well worth the wait. His passion for the island is pure, his intentions good, and his heart honest. With an interest in eco-tourism, I look forward to seeing Mr. Hauser's future projects and attempts to make Anguilla's past a part of its present.